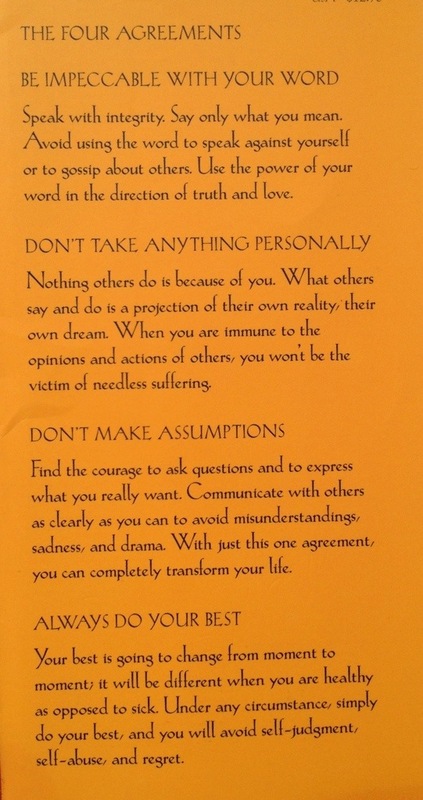 During my Baron Baptiste yoga teacher training, “The Four Agreements” by Don Miguel Ruiz was often referred to as a guide to living with integrity. I started re-reading this book today and found the words helpful, inspiring, and soothing, so I wanted to share this with you. When we take our yoga practice into our lives, off the mat, the yoga truly starts working and taking root inside our entire being. This entry was posted in home page, photography, spirituality, Uncategorized and tagged spiritual fitness, spirituality, spiritually fit yoga, yoga in port Angeles, yoga instructor amelia andaleon, yoga sets you free. Bookmark the permalink.